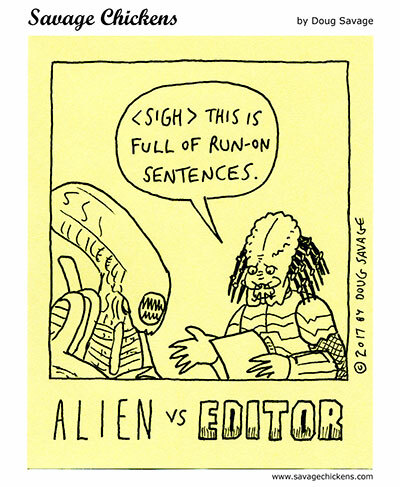 Interesting, I thought xenomorphs would write in sentence fragments. “Hsssss”. You are missing the subtle sssss at the end usually an add on run on by your hack writers not in the guild. ??? ?